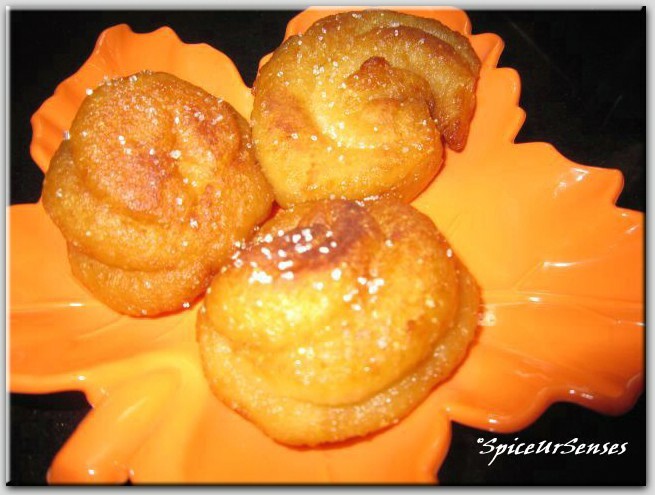 Sugar syrup peda is something very different peda . It gives you the taste of Gulab Jamun but the shape will be different.. I was thinking to make gulab jamun only but i thought why not make it different, and i end up making this recipe with all purpose flour... 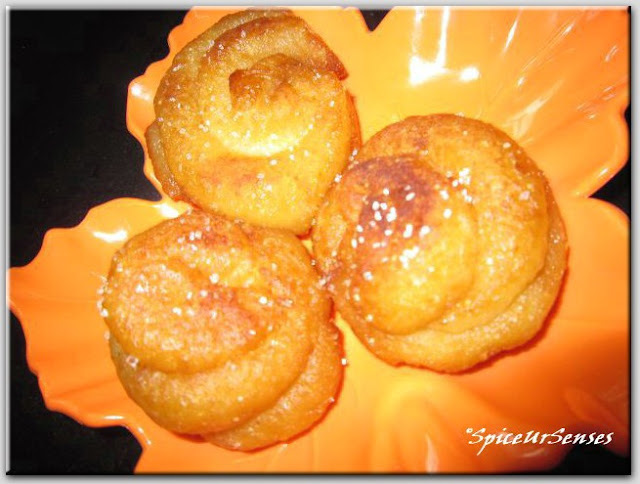 It gives u really very delicious taste and looks very beautiful too... Me and my hubby enjoyed it very much by eating this peda..
Make a 6 small ball from dough, and give shape as per u like , deep fry them to golden brown. and allow it to cool , dip in the sugar syrup and sprinkle some sugar powder on it and Serve as a Dessert. Mouthwatering sweet, so yummy. I just feel like having that now. WOW!! They look so delicious, Rumana..
Looks like grabbing one... very tempting. Droolworthy pedas, feel like having some..
pedas are innovative and tempting!!!!!!!!!!! oh wow!!! superb..looks so delicious..
drooling here! that looks yum..
Hi Rumana, first time here. The pedhas are very innovative dear. You can also send it to my event Only Festive Food, guest hosted by Preeti at Khaugiri and u may win a prize.